Greeting to all you Cowboy Action Shooters! 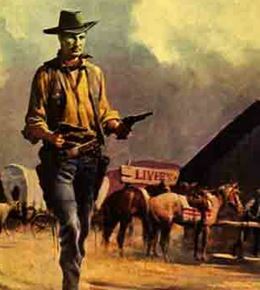 Dawn to Dust in 1897 is based on 10 different careers the Wild West had to offer. Mayhaps offer is the wrong word. Right or Wrong, People made choices that not only effected their life but the lives of those around them. We have prepared an extravaganza of Cowboy Action Shooting Events and Entertainment. You’ll want to partake in the plethora of sensational side matches scheduled for the Friday Afternoon, as well as the Wild Bunch match set up for Friday morning. The main match will be held on Saturday and Sunday. It will consist of ten challenging and fun stages with plenty of socializin and banter mixed in. For more information and the registration form, please down load the PDF below.